Peering inside Llewyn Davis, I found a man with a tender and gentle heart, quick to feel a sense of guilt should he not do the right thing for other living creatures. Outside Llewyn Davis, one sees a man in sharp conflict with the harsh realities living life to avoid not losing contact with his muse. All that other stuff that surrounds him makes Llewyn less aware of the better things inside … until he writes another song and sings it, playing his guitar — or saves a cat. God ignores Llewyn, Lady Luck hates him and the Devil waits at Llewyn’s every turn to muck up what might become something fortuitous for a young singer/songwriter scuffling in New York City through the Winter of 1961 — without a coat. Should you be a person who might think a movie isn’t so good because “things don’t turn out so right,” then you won’t think as highly of “Inside Llewyn Davis” as I do. 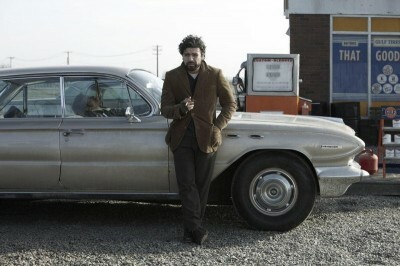 That possibility aside makes Joel and Ethan Coen’s new movie as good as they’ve gotten so far for me in 2013. The film is loosely based on the late singer/songwriter and guitarist, Dave Van Ronk. Yes, the disconsolate Llewyn (Oscar Issac) is a flawed person. Everyone around him is — except, of course, Private Nelson (Stark Sands), the folksinger stationed at Fort Dix. 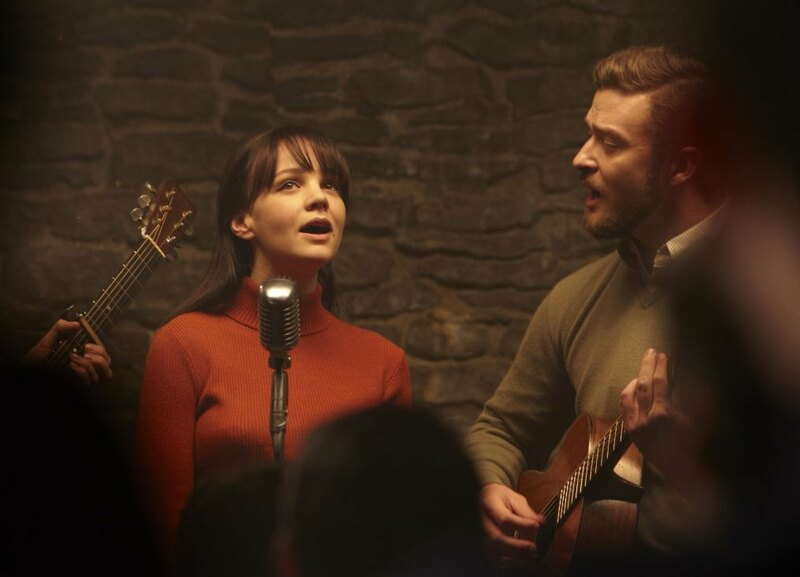 Jean (Carey Mulligan), whom Llewyn may have impregnated, isn’t perfect. Jim (Justin Timberlake), Jean’s live-in singing partner/guitarist, needs tweaking. Then on the other end of Llewyn’s muse where business abides are two souls even more deeply flawed: Roland (John Goodman) and Bud (F. Murray Abraham). Not flawed so much are Mitch and Lillian (Ethan Phillips and Robin Bartlett). Mitch is a leftish academic who often takes Llewyn in for over nights when Davis has worn out his welcome flopping with friends in other boroughs of the city. Mitch and Lillian have a cat. “Llewyn” is Issac’s movie. He sings, plays guitar … and oh yes, he acts; all of them superbly. All other character parts are essentially cameos, but each is a joy — if that’s the right word — to watch being performed. However, I must confess, two friends of mine and I laughed so much during “Inside,” a person sitting in front of us moved to another seat. 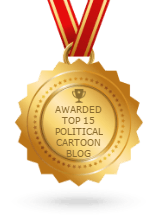 I would like to apologize for that and say only that we just couldn’t stifle our chortling. That’s an indication that the Coen brothers’ droll, ironic dialogue remains totally in tact. Llewyn travels to Chicago from New York with Goodman’s character, Roland, and Roland’s driver, Johnny Five, played by Garrett Hedlund. Johnny Five is man of few words. Davis auditions at Bud’s club then gets back to New York City hitching with a driver who makes Llewyn drive all the snowy way while the car’s owner catches needed shut eye. Llewyn almost stops in Akron, but thinks better of it. 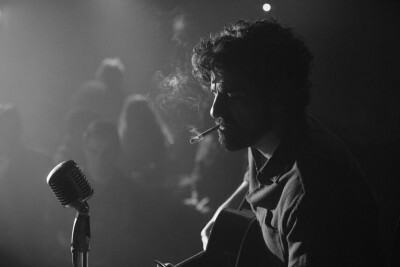 After another argument with Jean, Llewyn does a double-bill gig in the East Village, then gets beat up in the alley outside the coffeehouse by another performer’s husband just as music history is about to be made. 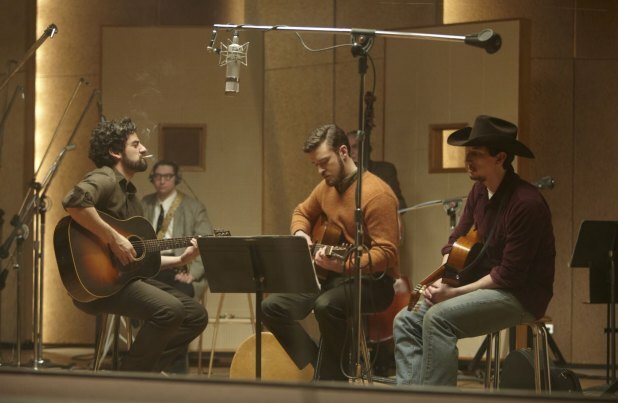 Actors, musicians, singers, writers, poets, cat lovers as well as people in the music and record business must not miss finding what’s inside Llewyn Davis, even if they already know what’s there.